Well, I guess it's all in how you see it. The adjourned court hearing for today has now been cancelled, Mike Coughlan having agreed to provide the sworn affidavit that Ferrari wanted. But whether that means the British side of the affair has fizzled out or not depends on which report you read. Autosport seems to think that the worst is over and Ferrari will now concentrate on the Stepney case in Italy; Pitpass is not so hopeful and warns that the case could still be pursued in the High Court in England. But it is certain that the content of the affidavit will never be made public. The likelihood is, therefore, that we will have to be content with vague descriptions and speculation as to the actual content of the Ferrari documents. The High Court seems to have been satisfied that they were important enough for the case to be investigated and we must presume that it is correct. Whether McLaren could have benefited from Coughlan's possession of the documents is a moot point, however. It does look as if Ferrari are most concerned about Stepney; much of the action in England has been about finding evidence to connect their former employee with the documents, rather than going after Coughlan. No doubt we will see how that pans out in due course. So far the Brits are losing this one hands down. 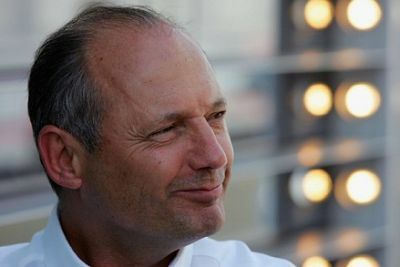 Ron Dennis was of the opinion that McLaren would be cleared of all blame in the near future but it doesn't look as if that is going to be possible. As long as some details remain secret, there remains a suspicion, in some minds at least, that knowledge gained from the documents found its way into the McLaren cars. Mike Coughlan is most probably out of a job, too; I don't see how McLaren can take him back now. And that means they lose their chief designer, surely a bit of a blow in mid-season. In Italy, Nigel Stepney has been effectively put on ice; as long as the case continues, he is unlikely to be employed by another team and must be careful what he says in public. Bearing in mind the speed (or lack of it) of the Italian legal system, that situation could continue for a long time yet. It all adds up to a general loss of heat from the strange affair. In the coming months less and less will be heard of it and, when a final verdict is given, no doubt it will hardly be noticed. Life goes on and there are races to be won and lost; who will care in a year's time whether there is any substance (or even a white powder) in something that happened so long ago? The other thing to ask is whether the FIA will uncover any cheating. It is in the habit of publicly displaying any components that break its rules; if, despite statements to the contrary, information from the Ferrari documents did make it onto the McLarens, would the components be displayed and would it cause problems for the Italian legal process if so? An interesting point, Alianora. But how will the FIA be able to point at anything and say without doubt that it originates in the Ferrari documents? Will they have access to them? And who is to say that McLaren haven't come to the same design conclusions independently of Ferrari? It's a sticky one and I think the FIA became involved merely to save face, hoping that the court cases would do their work for them. The FIA can have access to all the designs McLaren have raced, since they can request the designs submitted to Charlie Whiting for approval (which Charlie can, and usually does, request for every significant and/or controversial change to the car). Especially now they've invoked Article 151c. Disrepute charges are wide-ranging and may not even depend on those designs to go through. That said, the whole thing stinks of hypocrisy because Toyota never had Article 151c waved at them when two of their staff were convicted of similar intellectual property crimes and applied Ferrari designs (with limited success) to their Toyota. Yes, I was forgetting that the FIA can ask to see any part of the cars, thanks to the scrutineering regulations. But how do they then prove that intellectual theft has taken place? Because a part of a McLaren looks exactly like a part on the Ferrari, doesn't mean that any copying has taken place - it's merely a product of the rules forcing designers to the same conclusions and the same part would probably be very similar on all the cars. As for them handing out penalties to McLaren, I think that would be yet another step down the road of completely destroying the image of F1 in the eyes of the public. The FIA should take careful note of their own rules regarding bringing the sport into disrepute. Ah, the old "who regulates the regulators?" question. I don't think intellectual theft can be proven by the FIA, since the necessary evidence that could prove the matter one way or the other will presumably be with the courts at the moment. However, Article 151c does not require proof that theft took place, only that Ferrari design work somehow made it to the McLaren designs. My guess that this will be done on the basis of copying. I doubt the court will take into account the fact that great minds (as McLaren and Ferrari doubtless have) often think alike, and that the same solution may have been arrived at without any "sharing" of ideas at all. Depressing, isn't it? I have no faith in the FIA reaching a just and reasonable conclusion (which would be: there's no way to tell - let's drop the whole thing) and fear that they will do exactly what you envisage, Alianora. That will make this year's championship a farce, handing it on a plate to Ferrari and it's drivers, reinforcing the feeling in many minds that the FIA exists purely to further the red team's ambitions. Other manufacturers will get nervous at that (to add to their fury that Bernie has thrown away the USGP) and we might well see a situation where F1 is once again threatened with break-away championships, withdrawals and calls for resignations all round. Which might force the sport to re-invent itself and be a good thing in the long run - but the damage to its reputation in the meantime will be horrendous.